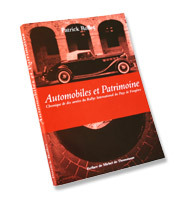 The Association “Automobile et Patrimoine du Pays de Fougères” (APPF)was born in 1997. Its objective is to make discover to lovers of the old automobile, French and foreign, the rich historical heritage, architectural, musical, cultural and … gastronomic of our regions, often too little known. Each year, the route of the rally is re-imagined within a radius of 150 kilometers around the central site of Fougères, to offer new discoveries to the many regular participants. 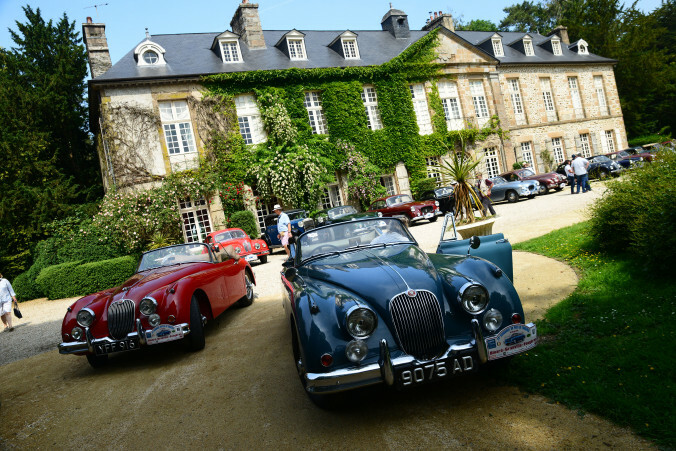 The International Fougères Rally has become one of the first European rendez-vous of classic car enthusiasts. Approved by the French Federation of Vintage Vehicles (FFVE) and the International Federation of Historic Vehicles (FIVA), it competes with famous events of the international calendar, thanks to the number and the quality of the cars. In 1995, a small group of enthusiasts gathered around forty friends to discover sites of interest around Fougères. In 1996, fifteen teams crossed the channel and joined about fifty French for a two-day tourist trip. The public of the canton discovers with amazement the presence of one of the most remarkable racing cars of the automobile history: the Delage Grand Prix champion of the world 1927! She will come back every year, leading to more and more exceptional cars. In 1997, the rally was structured by the creation of the “Automobile et Patrimoine du Pays de Fougères” (APPF), which took charge of organizing the event. In 1998, the rally welcomed its first American crews to Fougères. In 1999, Australians join the troop. In 2019, the 150 cars will come from 10 countries in Europe, the USA and Australia. He organizes the general program and the registration of participants. He is President of the International Federation of Historic Vehicles (FIVA) and Director of the FFVE. He took over this difficult job in 2018, after Isabelle (1997-2000), Thierry (2000-2010) and Patrick Marguet (2010-2018), our historic treasurers. Jean-Jacques is keen on both historic motorbikes and cars, owning a Simca Vedette Chambord and a Gnome & Rhône motorbike. supervises the organization of crew restoration during the four days. His own establishment, which houses the collection of original drawings by Patrick Brunet and the trophies given to the APPF, is gradually becoming the “museum” of the association. Stéphnaie also ensures the sale of the products of the “Boutique APPF”. Patrick Brunet realizes the posters of the rally. The creations of this talented draftsman are exhibited in the United Kingdom, Italy (Dino Ferrari Museum), Germany (Daimler-Benz Museum), Japan and the USA. He co-edited with Thierry Pilorge and Patrick Rollet the book “En Route … across Upper Brittany”, for which he drew some exclusive illustrations. Alain Huard takes care of the transfer of the participants by bus for the dinners of the rally. Jean Hérisset, coordinates the relations with the municipality of Fougères and facilitates the access of the participants in the courtyard of the “biggest medieval castle of Europe”. He is also responsible for the communication of the rally. Eric Lasserre, Guy Thoury, Yannick Plantin and Guillaume Nédelec are in charge of the logistics of the rally. Jean Pierre Jeanne provides technical assistance. They come from 5 continents, but first from Europe, in vehicles older than 1969. Their number is necessarily limited to 150 to maintain the conviviality of the event and to facilitate the organization of its various sequences. This does not mean that the rally is elitist. It first looks for variety, mixing popular cars, able to bring happy memories to the public and high-end models, often unique and of great historical interest, passports for dreams and wonder. Such diversity is ensured by the constant links between the APPF, the French Federation of Hiistoric Vehicles (FFVE, whose association is a member since 1998), FIVA and French and foreign clubs, including the VSCC, the world’s first association of pre-1940 car enthusiasts (7,500 members on 5 continents). These relations make it possible to confirm a little more each year the international vocation of the rally. The APPF can not by itself finance the organization of a rally of this size and relies each year on a network of technical and financial partners. These partnerships do not usually fit into a multi-year framework and therefore need to be renewed every year. In 2004, 2005 and 2006 the Fougères rally was selected by the European Commission’s LEADER + program for its contribution to the touristic and cultural influence of Fougères and the “Marches de Bretagne”. Given the public present during the traditional presentation of vehicles on Sunday afternoon (from 2,000 to 5,000 people depending on the weather) and visitors to the castle of Fougères on Sunday morning (1,500 paying entries in 2018), the rally attracts about 30,000 people during his four days. The cars move from Friday to Monday and stop in major towns (Angers, Tréguier, Bayeux, Dinan, Laval, Vitré, Mayenne, Dinard, St Malo, Cherbourg, Saint-Brieuc, Saint-Lô …) or smaller places reputed for their historical and architectural heritage (Bagnoles de l’Orne, Chatelaudren, Craon, Lassay Castles, Combourg, Dol de Bretagne, Domfront, Juvigne, Saint Hilaire du Harcouet …). Informed by the press and seduced by the prospect of an original discovery, many amateurs from all over France come to meet the participants. The Pays de Fougères Rally has been supported since 1997 by regional television (FR3 Brittany and Normandy, TV Breitz) and national television (M6), as well as by radio (various stations of Radio France). Coverage by the regional press is ensured since the beginning by West France, the Republican Chronicle, the Free Channel, the Channel Gazette and the Courrier de la Mayenne. The newsletters of the clubs represented also devote one to six pages of their publication to the rally (VSCC, Morgan Three Wheelers Club, Amicale Salmson, Jensen Owners Club, Rolls Royce Enthusiast Club, HRG Gazette, Bentley Drivers Club, etc.). The promotion is also ensured by a 60 x 80 poster campaign: 1000 copies in 2018. A brochure presenting the rally was produced and printed in 2,500 copies. Gathers illustrations “charcoal and sanguine” illustrator Patrick Brunet and more than one hundred selected photos of Thierry Pilorge, to trace the various facets of ten years of rally. Jean Malapert, President of the Syndicat Mixte des Marches de Bretagne and Claude Delagneau, President of the FFVE wrote the preface. A 300-page book has been published to celebrate the tenth anniversary of the event. 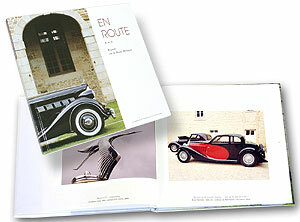 The preface is signed by Michel de Thomasson, President of the International Federation of Vintage Vehicles (FIVA).